A seam of rock known as the Yixian and Jiufotang formations, in western Liaoning province, is the burial ground of an astonishing array of creatures that lived around 120 million years ago in the Early Cretaceous. 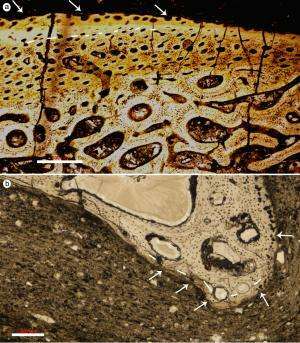 Called the Jehol Biota, it is the richest and widest source of fossils ever found. It has yielded the remains of dinosaurs, pterosaurs, early birds and mammals, as well as turtles, lizards, freshwater fish, frogs, plants and insects, which inhabited a long-gone vista of lakes and conifer forests. Many of the specimens are astonishingly well preserved, revealing even scales, feathers, hair or skin—a precious find indeed for palaeontologists. The secret of the preservation, according to a study led by Baoyu Jiang of Nanjing University in Jiangsu, lies in a brutal volcanic episode that extinguished life all around and then buried it in dust, locking it away for eternity. 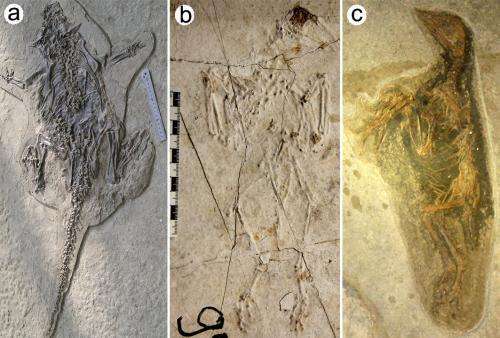 Jiang's team looked closely at 14 bird and dinosaur fossils and the thin layer of darkish sediment in which they were found, at five locations. The big killer, they believe, was pyroclastic flow—a vicious outpouring of hot, suffocating gas and superfine dust, moving at gale-force speed. 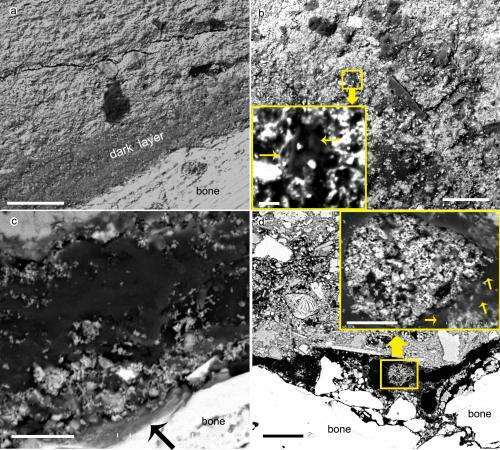 Under the microscope, debris from plants showed blackened carbon streaks, and in the fossilised skeletons, hollow bones were filled with fine quartz grains. But the biggest indicator of all came from crisscrossed cracks at the bone edges, caused by heat stress. This phenomenon was also found in the bones of victims at Pompeii, the Roman town that was buried by an eruption of Vesuvius in 79 AD, the authors said. Previous researchers had noted that the Jehol Biota sediment was volcanic. They surmised that there had been a mass die-out as so many different species—terrestrial, aquatic and avian—were all clustered in one area. But suspicions that an eruption was to blame lacked hard evidence until now. The dust flow from the volcano swept many dead creatures into lake beds, where they were immediately buried in oxygen-starved conditions, according to the new study. "Terrestrial vertebrate carcasses transported by and sealed within the pyroclastic flows were clearly preserved as exceptional fossils through this process," said the paper, published in the journal Nature Communications.